A Full Life, Well Led, In The Service of Psychiatry and Mankind. Where is Medicine Heading? Pointers and Directions from Recent Law Suits Against Industry: Medicine As A Corporate Enterprise, Patient Welfare Centered Profession, Or Patient Welfare Centered Professional Enterprise?, Mens Sana Monographs, III:4-5, Nov 2005- Feb 2006. Medicine today is at the crossroads. There is as great an influence of new knowledge as of sponsors. On the one hand the latter ensure the faster output of new knowledge, on the other, they try to skew its growth innits favour. Moreover, industry influence has come under the scanner of patients, activists and regulatory authorities. This has resulted in a spate of lawsuits against industry. This phenomenon is hardly likely to abate. In fact if present portents are any indication, it will increase, taking in its grasp clinicians and researchers too. Medicine and its ancillaries will have to do some serious soulsearching to keep themselves firmly on course and prevent hijacking of their patient welfare agenda. A number of short term and long term measures will have to be put into place to ensure this. Short term measures are related to preventing malpractice at various levels because of ulterior motives, both of clinicians and sponsors. Long term measures are related to how we wish to chart the course of medicine in the future. For the latter, it is time a serious dialogue ensues on whether i) medicine shouls become a corporate enterprise; ii) remain a patient welfare centered profession; or iii) become a patient welfare oriented professional enterprise. This monograph is an effort to promote this dialogue. It is most lovingly dedicated to one of the doyens of Indian Psychiatry, Prof N.N. Wig. 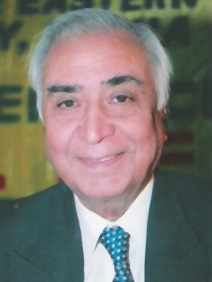 Ajai R. Singh, M.D., Editor, Mens Sana Monographs, is a Psychiatrist who has earlier worked with the WHO Collaborating Center In Psychopharmacology In India. Shakuntala A. Singh, Ph.D., Deputy Editor, Mens Sana Monographs, is Principal and Reader and Head, Dept. Of Philosophy, Joshi-Bedekar College, Thane, India. She has earlier worked as a Fellow the Indian Council of Philosophical Research and the University Grants Commission. They are Founders of the Mens Sana Research Foundation, India.